My mother in law asked me to make her a card for her sister in law. And I came out with this. 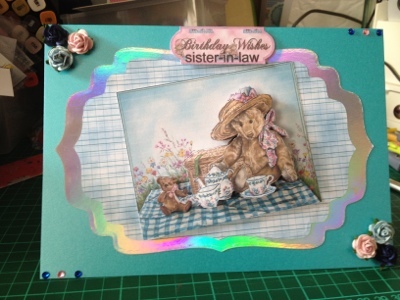 The card is pearlised from crafters companion, the decoupage, backing paper and sentiment comes from the meadow cottage bears cd rom. I used flowers and gems to finish off.